Cruise pier in old San Juan to be extended! 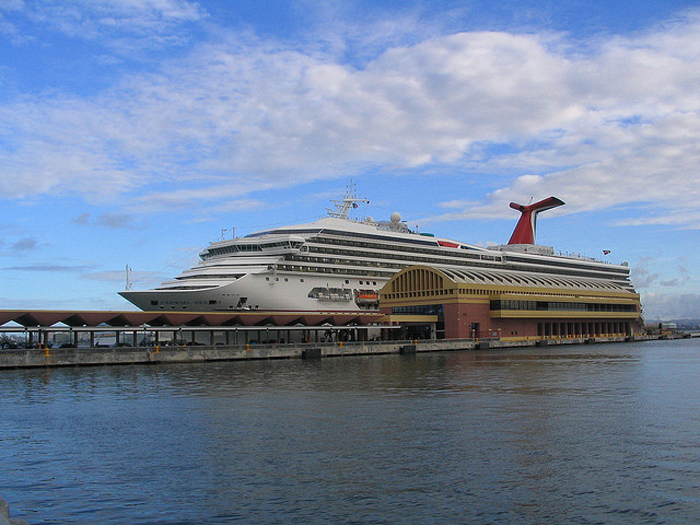 The cruise pier which is in old San Juan is to be expanded according to the governor of Puerto Rico. The current pier will be expanded at a cost $8.7 Million and will also get a new baggage inspection area. The new upgrade will be able to manage 6,000 passenger cruise ships. Alejandro Garcia Padilla (Puerto Rico Governor) said on Wednesday that 182 feet will be added so the popular terminal and pier there can cope with all the new large mega ships which are now coming out. Royal Caribbean Quantum of the Seas ship will be one of the new large vessels calling at old San Juan in 2014 – 2015 and will be great for the local economy. The cruise ship industry in Puerto Rico has already brought in $150 Million to the local economy and that is expected to rise to $300 Million in ten years. if you’ve ever been on a cruise to the port of call you can just see how many passengers are on land spending in all the shops and dining places. A capacity for larger ships will also help the island from new competition in the Caribbean. This is exciting news and will keep San Juan as an important destination for passengers. Let us know what you think in the comments below.